But Burfeind is not the first of the Student Affairs department to leave the University of Redlands for reasons that are often described as “a position more applicable to their interests,” “a good career move,” “better for their families” or simply “a time for a change.” At the University of Redlands, students hear these explanations often. Across the span of the last four years, most of the well-respected Student Affairs advocates in the University of Redlands administration have left their positions, leaving much of the student body surprised to hear the news. The departed administrators are replaced—often after their position is restructured—by new hires that become well-liked on campus, just as their predecessors were. But establishing relationships with university employees takes time, and frequent turnover makes that difficult, particularly when the student experience is limited, traditionally, to four years. This all begs the question, why are so many Student Affairs Administrators leaving their jobs, and is this an issue that exists at other universities, or is it isolated to our campus? Since 2015, at least 11 Student Affairs administrators have left their positions, if not on their own free will, as a product of a layoff or a restructuring of their position. There are only 34 full-time positions in the department, excluding athletics. This makes the department of Student Affairs’ turnover rate about 32 percent over the past four years. Dr. Ralph W. Kuncl, university president, said that the University of Redlands is “absolutely typical” in every department that he knows of. In general, he explained that the rate of turnover is higher in departments like Admissions, Student Affairs, University Advancement, and Alumni Affairs for a number of reasons. “They all have a certain cohort of young entry-level employees — just a lot of college students who decide to stay and work […] as their first job,” he said. He explained that the size of the institution and the age of employees are contributing factors as well. “We are more lean and mean and have smaller organizations,” Kuncl continued. “That means if you’re an admissions officer, you don’t have two or three or four steps above you that you can get promoted into. If you want to get promoted you don’t want to stay for that because of a glass ceiling, right? But despite this, some of the dynamics and patterns within the department of Student Affairs are worth examining. In the summer of 2018, the university announced Leela MadhavaRau’s resignation from her position as director of Campus Diversity and Inclusion (CDI), leaving the once robust department with only one full-time faculty member, First Generation Students Program Coordinator Demeturie Gogue. For 16 years, MadhavaRau was a key player on campus, running countless organizations and spearheading the majority of the university’s diversity and inclusion efforts. Her reason to leave was publicly understood as a pursuit of her dream job, and as an effort to be closer in proximity to her family. But a colleague and friend, who chose to remain anonymous, said that she wasn’t feeling supported or appreciated at the University of Redlands, which contributed to her decision to leave. MadhavaRau is currently the director of Human Rights and Equity at Brock University in Ontario, Canada. She is close to family and in a position that resembles what she advocated for at the University of Redlands. CDI’s period of transition and regression is a good example of some of the issues that have been going on throughout the past few years. Getting information about why people are leaving, and verifying whether or not the university’s rates are comparatively anomalous, has been difficult at best. Human Resources department neither records nor releases administrative turnover rates, stated Director of Media Relations Stephanie Johnson. Johnson also denied The Bulldog’s initial request to interview President Kuncl to speak on the administration’s hiring and turnover trends. The interview was eventually arranged by Lauri Greer, Executive Assistant to the President. But it’s not just the university’s current administration that is attempting to withhold information and hesitant to speak on the Bulldog’s inquiries. Some employees were forced out of their position, and some left on their own free will. Some Student Affairs administrators who have recently left the university have denied The Bulldog’s request to speak on the record, but spoke in hushed tones of a difficult workplace environment, contributing to their decision to leave. Some employees said that members of the University of Redlands administration make it difficult for student advocates to do their job and accomplish their objectives. Others say that they left because they know their job security is unstable. Either way, the rationale explained in private often differs dramatically from the reasoning announced to the public. President Kuncl cautioned this possibility as well. Two anonymous sources and former Student Affairs employees who have recently left the university were willing to speak about their experiences. The first source said that they were essentially laid off when their position was promptly and surprisingly eliminated. After they were notified about the termination of their position, they had about three days before they were forced to leave the university. The source explained that at the time, the university was having trouble with their budget and that they were one of many to be let go. They source scoffed when saying at least they were given a few days to pack up their office. But President Kuncl said that most of the time when positions are eliminated, employees should know about their inevitable fate far in advance. “When we have the necessity to reduce positions, which happens very rarely, we do it with a lot of advance warning and payment of severance and provision of counseling to get your next job,” Kuncl said and continued to explain that layoffs are circumstantial and vary on a case by case basis. But in general, he said, the university offers significantly advanced notice. “Some people who you have heard about leaving in Student Affairs have known for months to a year that their position [was] going to be eliminated,” Kuncl said. The source was offered severance and counseling, but advance notice was not involved. The source said that this disincentivizes employees to stay at the university if they could beat their employer to a potential layoff. “I know from colleagues and friends of mine who still work here that there’s been a lot of conversation, like ‘well you know if it happened to [them] it could happen to any one of us,’” the first source said. But the volatility in Student Life expands far beyond a tight budget. 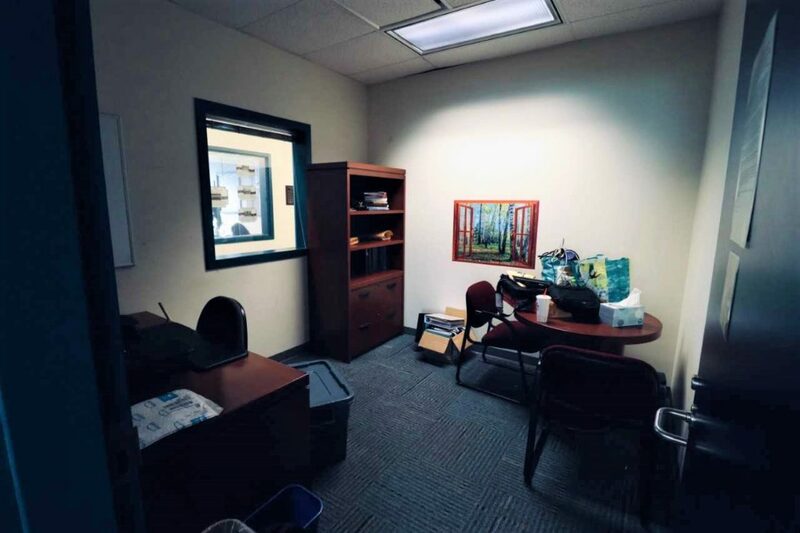 Aside from the interpersonal dynamics that play a role in the workplace culture, there was also a circumstance of embezzlement from a Student Life employee. A source explained that an employee was caught stealing money and was turned into Human Resources. When he was turned in, some administrators called that decision into question. The individual was arrested and taken to jail for several days — upon his return, the administration let him live [on campus] for another week or two before they ultimately kicked him out. “It was weird in the sense that like I’ve seen people, really good people who didn’t do anything wrong, get laid off and walked out of campus to never return,” a source said. “And [then] someone who stole [a large sum of money] to be let come back and hang out [on campus] for two weeks. The pieces don’t add up. This was years ago, and the top-level administrators have since changed. But some of the practices that the first source took issue with remain in use. The restructuring of positions, for example, allows for the administration to change a title, and then put the newly named position back onto the market for a role that is relatively the same. Kuncl said that restructuring is commonplace at the University of Redlands. The university has moved beyond its period of budgetary emergency that led to layoffs. When Char Burgess left her long-standing position of dean of Student Life, she was replaced by current Dean of Student Affairs Donna Eddleman, who now manages the newly named department of Student Affairs, rather than Student Life. Under Eddleman’s leadership, administrators are continuing to leave or being asked to leave at a rapid rate. But as new leadership establishes itself, both the workplace culture and the turnover rate may naturally shift. In terms of restructuring, Eddleman explained that it is prudent to take advantage of opportunities to evaluate the institution’s organizational structures. Opinions on when and how often to restructure positions vary. But restructuring positions as a means to push employees out of their positions doesn’t seem like the best of practices. 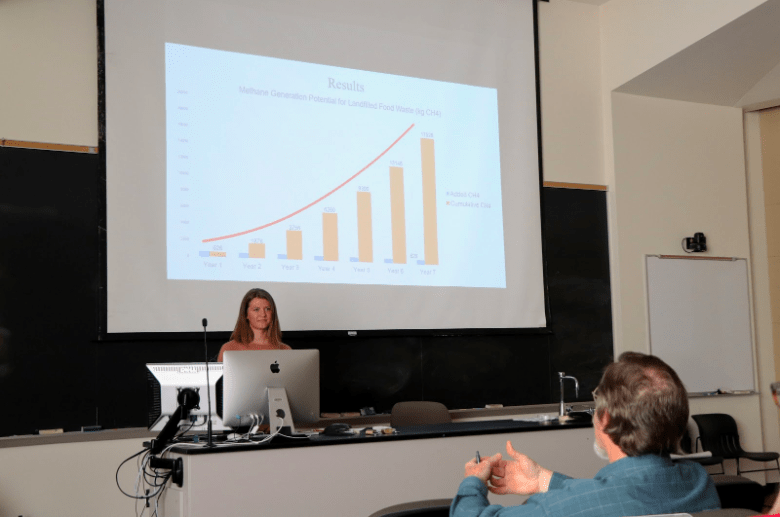 Dr. Tara E. Frank, Assistant Dean of Students at Virginia Tech University wrote her dissertation on the departures of Student Affairs professionals. She said that there is a way to restructure and create turnover under new leadership that creates more good than harm. Eddleman began her current position as dean of Student Affairs in 2017. Since then, at least eight Student Affairs administrators have left their position. Under her leadership, Eddleman explained that she does expect to continue to see people departing because of the nature of the field. But she also noted that eventually, she expects to see more of a stable rate of departure as the culture of her leadership establishes itself into the institution. President Kuncl said when leadership changes, an increase of employee departures is in line with the norm. But the second anonymous source said that President Kuncl appears to show preference to Eddleman. The second source agrees with President Kuncl in that restructuring and a controlled turnover rate is a healthy workplace practice. But what is not acceptable, they said, is what happened after Burgess left her position. “The moment Char left, chaos happened,” the second source said. “Losing [those] big, key players means there is something in the water. At least one of the departed employees questioned Eddleman’s decision to hire a consultant, Dr. Jesus Trevino, to evaluate the needs and current standing of CDI. Trevino’s report and recommendations on university inclusiveness and community were released on Friday. “I’m sure [Dr. Trevino] is a great person, but he’s not another person to the department, he’s an observer. 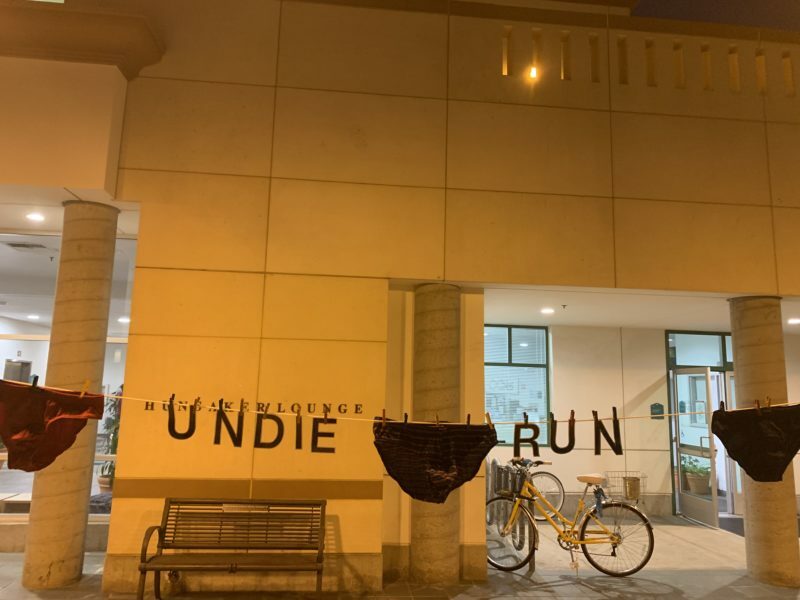 He may not be taking up space, but he is taking up [monetary] resources that could go to someone that would be permanently supporting the students,” a source said. While at the University of Redlands, MadhavaRau was the driving force behind CDI’s success, and was vocal about making equity and inclusion more of an institutional priority. “I hear the Consultant has recommended international students be included within the diversity agenda, completely ignoring the fact this was working successfully before the decision to move away from the model,” MadhavaRau said in an email. 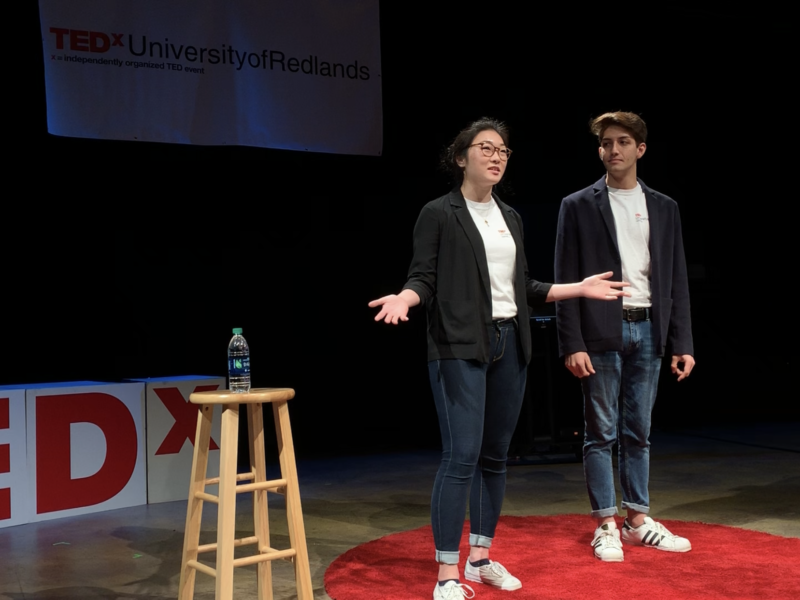 “As with many of the External Consultant’s suggestions, basing Redlands’ model on that of Inclusive Excellence had also been suggested multiple times to President Kuncl. Others have expressed concern that the lack of resources and administrators involved in CDI is going to cause suffering in the student body. Eddleman noted that leadership is hard and complicated and sometimes misunderstood. Hunsaker, the building that predominantly houses Student Affairs, sits in the middle of Hunsaker Plaza, in the heart of campus. If one were to take the pulse of student life and student liveliness at the University of Redlands, this is where they should turn. The second floor of Hunsaker, previously named Student Life and Involvement Center (SLIC) and was once bustling with people and activity, just as the plaza it overlooks always is. The center has recently been renamed to Student Involvement and Success (SIS). As employees come and go and new administrators get acquainted with the university, fewer students have reason to walk through SIS on their way home from class. In the past four years, nearly none of the student advocates in Student Affairs administration remain at the University of Redlands. But this does not mean that student life is faltering at the University of Redlands. Both Eddleman and an anonymous source pointed out that some other areas of Student Affairs — like the organizations and activities that expand across campus and beyond — are doing better than ever. “The Greek community continues to evolve,” Eddleman said. “Greek alumni investment is growing as a result of our efforts to try and create infrastructure and foundation of support for that population of students. We are working on transfer student initiatives to really provide support for students both as they transfer into the institution but also as they find their way through. FYJ [First Year Journey,] and adventure type programs under FYJ are growing. Student Affairs is becoming more collaborative and intentional with CAS [College of Arts and Science] in terms of undergraduate orientation. “I caution judgment that is based on one particular area because my leadership is more than just what’s happening in CDI,” Eddleman said. University of Redlands senior, Public Policy and English double major and previous Editor-in-Chief of the Redlands Bulldog. Higgins retired from her leadership position to study journalism abroad, and will return as a full-time reporter.